Nintendo Switch Neon with Mario Kart 8 and The Legend of Zelda Breath of the Wild is now available for a crazy low price point. Get an amazing Cyber Monday deal now! However, there are many more Cyber Monday Nintendo Switch deals available right now. Check out T3's Nintendo Switch Cyber Monday deals roundup now to scope them out. We've seen some great Black Friday and Cyber Monday deals on Nintendo Switch, but this is the absolute best we've seen. 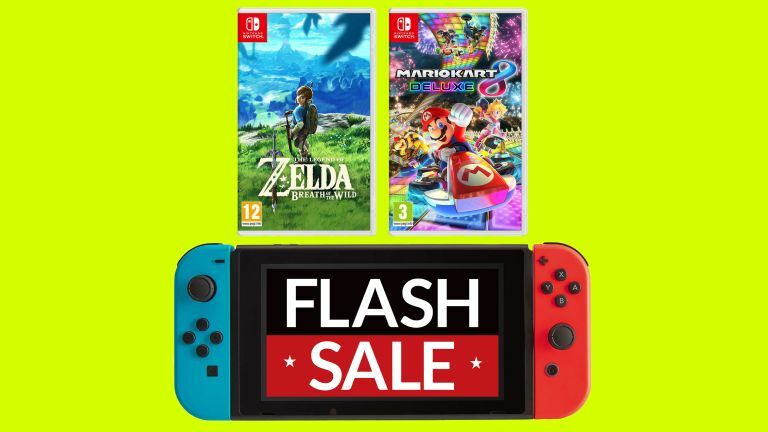 You get the Nintendo Switch Neon console along with The Legend of Zelda: Breath of the Wild and Mario Kart 8 for only £299! There's a limited number, though, and over 400 have already sold as this Nintendo Switch deal is so epic, so you're going to have to move fast to score.